In everyday speech, “nation” and “nationality” are largely synonymous terms. “Nationality,” my desktop dictionary informs me, is “the status of belonging to a particular nation.” In Spain, however, the Spanish equivalents of the two terms have come to convey distinct meanings through political fiat. The official differentiation of the Spanish nation from several distinct Spanish nationalities is bitterly contentious, potentially threatening the Spanish state. When Spain began to democratize after the death of dictator Francisco Franco in 1975 it faced an existential crisis. Franco had presided over a centralized state that suppressed regional languages and identities – in turn intensifying secessionist sentiments. Basque- and Catalan-speakers especially tended to insist on their nationhood, seeking political autonomy if not outright independence. To maintain the integrity of Spain yet satisfy regional aspirations, the country’s new leaders crafted an intricate terminological and geopolitical compromise, which they institutionalized in the new constitution. Spain, they declared, was an indivisible nation that joined together several territorially defined nationalities. “Nationality,” in the process, was redefined to refer not to a group of people possessing or aspiring to political sovereignty, but rather to a region whose inhabitants have a strong, historically constituted sense of identity. The changes pushed forward were not merely rhetorical. 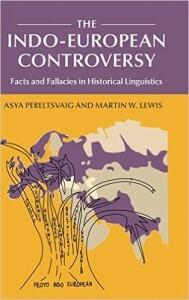 Initially, the three most linguistically distinct regions were offered substantial autonomy as historical nationalities: Catalonia in the northeast, the Basque County in the north-center, and Galicia in the northwest. Autonomy was promised to Spain’s other regions as well, but at a reduced level; it also had to be gained through a more involved process. Such unequal treatment proved unpopular in several areas. In Andalusia, a million-and-half-person protest broke out as residents clambered for similar consideration. As a result, Andalusia joined the “fast track” to regional autonomy as its own nationality. Elsewhere, provinces were allowed to establish their own foundations for self-rule, either by themselves or in conjunction with neighboring provinces of similar background. 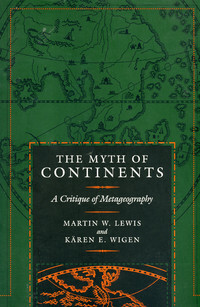 Through this process, the internal political geography of Spain rearranged itself between 1979 and 1983, with seventeen “autonomous communities” coming into existence. The process reached completion in 1996, when Ceuta and Melilla in North Africa were reconstituted as “autonomous cities.” Spain is now a highly decentralized state in which most tax revenues are spent not by the central government put by the first-order political subdivisions, the autonomous communities. 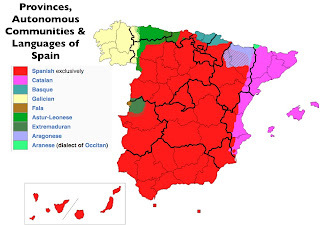 Spain’s fifty provinces still exist, but they serve more as geographical referents than as administrative units. 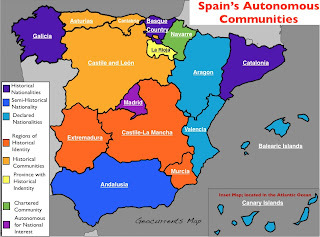 Only one Spanish province did not officially become “autonomous,” whether in its own right or as part of a larger region: Navarre. Instead, Navarre reemerged as a “chartered community,” updating and expanding on the historical autonomy that it had long maintained. In practice, however, it functions as if it were an autonomous community. Navarre’s official name is Comunidad Foral de Navarra (or, in Basque, Nafarroako Foru Erkidegoa). “Foral” is usually translated into English as “chartered”: it stems from “fuero,” the traditional rights (or privileges, depending on one’s perspective) that were historically granted to certain regions of the Spanish kingdom, especially those in the Basque-speaking north-center (see the map showing “Foral Spain”). In the case of Navarre, such rights were bestowed when the formerly independent kingdom of Navarre was divided between Spain and France in the 1550s; to ensure the loyalty of its new subjects, the Spanish monarchy allowed them to retain their traditional customs and laws. Navarre’s fueros were subsequently whittled back and contested, but the basic idea has persisted. Madrid presented a conundrum for Spain’s geographical reorganization. Historical linkages called for its inclusion into either Castile-La Mancha or Castile and Leon, but the other Castilian communities were wary of being overshadowed by the capital and its environs. 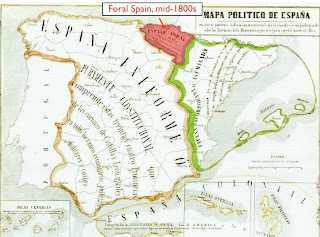 In the end, the province of Madrid was granted autonomous status in its own right, supposedly to uphold the “national interest” of Spain. Spain’s reconstruction as a decentralized nation of regions and nationalities has been at best a partial success. Its basic structure is compromised by the geographical mismatch between ethnicity and autonomy; the autonomous communities were built out of preexisting provinces, several of which are themselves divided by language and identity. Navarre, for example, is Basque-speaking in the north and Spanish-speaking in the south, resulting in a considerable dissatisfaction. 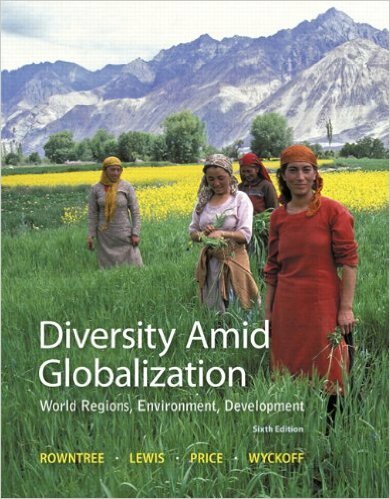 More pressing is the demand for greater autonomy – and recognition – among certain groups. Many Catalans, as we shall see tomorrow, are adamant that they constitute not a nationality but a full-fledged nation, thus roiling Spanish politics. When it comes to matters of political identity, terminology matters. 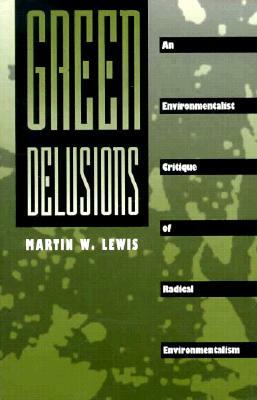 Note on sources: The Wikipedia has a number of excellent articles on this issue. Of special note are its competing articles, Nationalisms and Regionalisms of Spain and Nationalities and Regions of Spain.